We love sharing about our beloved foot soakers who grace us with their presence on a regular basis. 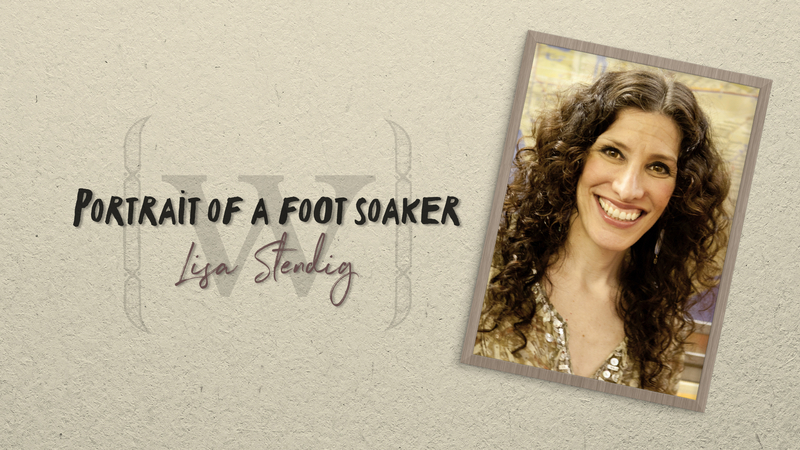 This month we feature Lisa Stendig. Owner of The Goddess Shop located in the Grove Arcade, our neighbor! Lisa is a loyal guest who visits us once a month for some pampering. Lisa was kind enough to give us a peek into what her life looks like when she takes a break from her time at the shop. Despite being open 6 days a week, she really makes self-care a priority and gives true meaning to the word balance in the crazy world of being a successful business owner. She is an inspiration! Thank you, Lisa, for sharing with us. We really appreciate you! I own The Goddess Shop, inside the Grove Arcade, just down the hall from Wake. I specialize in handmade clothing and jewelry, from both local artists as well as artist friends from around the world. So in addition to being unique and beautiful, everything is fair trade and happily made. What inspired you to create your business? I’ve been in the healing arts for over 20 years and have deeply appreciated the meaningful journey of that work (and still offer the occasional private healing session), but I felt an intuitive guidance a year and a half ago to open the shop, I think because it satisfies a need for full-on creative expression that couldn’t be met in a big enough way through just dressing myself. The other significant inspiration for me has been the delight I get from sharing special things with people. For years I’ve had a passion for wearing handmade clothing and jewelry, and people would often ask me where I got my gorgeousness from, but usually it was from a far-away friend or some other obscure source, like art festivals. So now that I have the shop, I get to offer these things to others. I only carry in my shop what I would buy (and have bought!) for myself; and because everything is so well-loved and carefully chosen, it makes me feel excited to share with others so that they can enjoy living with these special things, too. What are the challenges you face creating a work/life balance and how do you navigate those challenges to fit in some “you” time? Balance for me these days is indeed very tricky since my business, at a year and a half old, is still a baby and needs a lot of attention. So, I’m closed on Sundays because that way I know I have at least one reliable day off; and after burning myself out in the beginning by working 6 days a week, have committed to having another goddess cover for me one other day each week. Sometimes it’s just a matter of making a decision and trusting that because it’s the right decision, i.e. the decision that’s in my best interest, that the universal flow will, and does, support it. For instance, every spring and fall I take myself on a week-long silent meditation retreat with my spiritual teacher, and also every fall I go on another week-long retreat with my yoga teacher of 25 years. When I made the decision to open The Goddess Shop in the fall of 2016, I knew I needed to scramble to get it up and running in time for the holiday season which gave me just 6 weeks!– but I also knew that there was no way I was going to miss going on my meditation and yoga retreats since time with my teachers is a non-negotiable priority for me. So I made the decision, and trusted, that honoring my spiritual priority would support, not interfere with the opening of this business, and SO many magical synchronicities resulted that brought so much ease to the process! Instead of opening by Black Friday, which was my goal, I managed to open on November 30, which was just fine, and so worth it, given that I was able to feel sane and grounded, and happy for giving myself my beloved retreat time with my teachers. Well, I treat myself to Wake about once a month! Meditation practice makes all the difference in reminding me of the stillness, the silence, that is my true nature. And I aim to experience my simple moments as spiritual practice, by returning attention as often as possible to that timeless, aware true nature that thinks my thoughts and looks out through my eyes, and to remember to be present for that same quality in others as they float in and out of the shop all day. Also, I have an awesome purple velvet sofa in the shop that I invite both friends and strangers to sit on with me to talk about life. Who in your circle do you go to when you have a bad day? I’m close with my sisters and am blessed –as we all are, I think!– to be surrounded by amazing women. But I’ve also found that, regardless of who I’m talking to, when I can just speak from a real and authentic place that people can respond in unexpected ways and magic can happen. When I’m able to preserve a day off that is commitment-free, I like to have what I call a ‘pajama day’ where I spend the whole day in bed with my dog and watch Netflix or read. Are there any spots around town that you’re drawn to for a mental break? Home!! I have a wonderful home in Black Mountain surrounded by nature –very quiet!– and I feel so grateful when my busy schedule affords me any extra time there: it’s my retreat, my sanctuary. What is my idea of the ultimate self-care ritual? I’m an indulgent person so I love extra-long massages! When I go to Wake I like getting the Blissed Out package so that both my feet and shoulders get rubbed, but if a Bliss Plus package existed, that lasted 2 hours, I would be all over that!– a very happy prune! Thank you, Lisa, for your continued support of Wake Foot Sanctuary and for letting our guests have a glimpse into your life. We appreciate all our guests and look forward to featuring another portrait of another guest in the future. If you would like to share your favorite ways to rejuvenate leave it in the comments below!